VHF FM radio broadcasting provides a much higher quality than traditional broadcasting on the low bands using amplitude modulation. 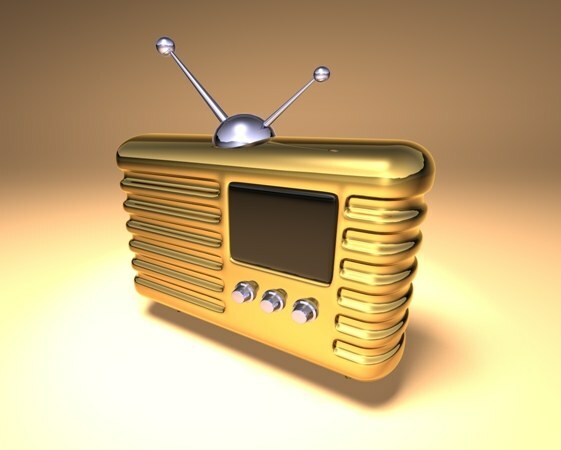 However, the range of frequencies which are FM radio stations provides a relatively small radius of confident reception, on the border of which the quality drops sharply. - the antenna amplifier or an active antenna. In some cases, unstable reception in the VHF range due to the low sensitivity of the receiver or radio. It should be noted that no dependence of this parameter of the device from its price does not exist. Try taking the same station in the same room multiple receivers - one that will provide the most reliable reception, is the most sensitive of them. 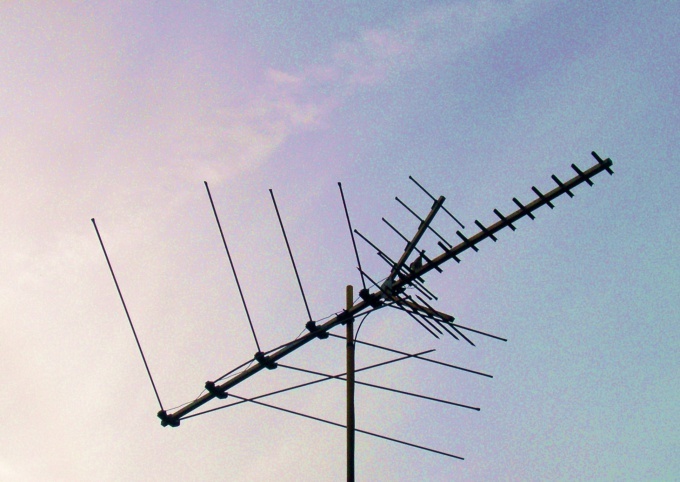 Indirect determination of the mediocre quality of the radio channel at the receiver is possible by the presence of the antenna socket, despite the fact that it has a telescopic antenna. If such a nest is, the manufacturer can add it in order to compensate for the low sensitivity. External antenna is a piece of wire with a length of several meters. You should fully unwind. To one end of the wire solder or plug type that corresponds to the socket of the receiver, or the metal clip for the curtains, put on the telescopic antenna. This antenna is not required to provide lightning protection, in any case do not do it outside. Sometimes to improve reception quality of FM helps the next fixture. Wrap directly on top of the shell of the coaxial cable going to your TV-about 20 turns of insulated wire. One of its ends connect with the receiver in the way stated above. Pocket players, mobile phones used as antenna when receiving FM wire headphone or headset. Adjust this accessory for another with a longer wire, or splice it yourself, if you know how to do it. The quality of reception and the amount of stations will increase significantly. Often even in the city centre, the receiver picks up very few radio stations just because it is designed for VHF-1 (65 - 74 MHz), at the time, as most stations today operates in the VHF-2 (88 - 108 MHz). The restructuring of the apparatus from one range to another - a very delicate operation, so take her only if you have the necessary experience. In the absence of such experience will help the special prefix Converter CCIR-OIRT. 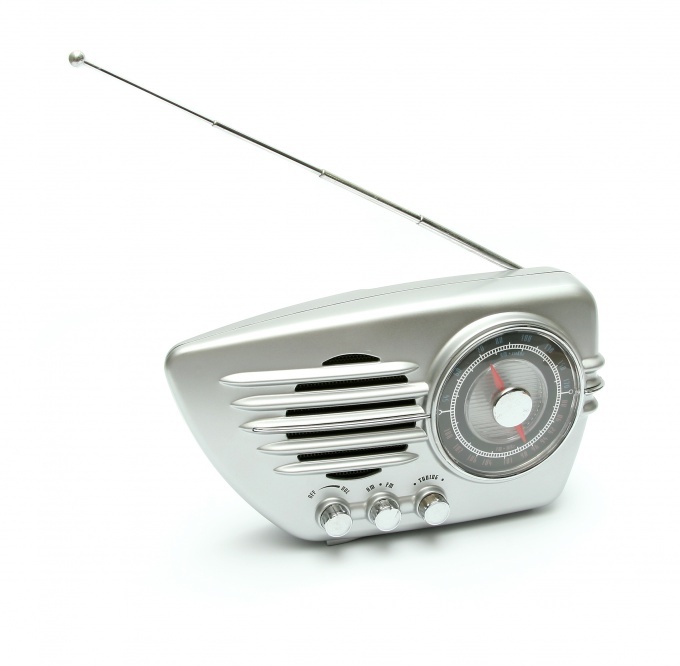 This device is commercially available at radio. To improve reception in the FM-band at the receiver is possible using an antenna amplifier or an active antenna. When choosing this device, you should remember that often under the guise of such amplifiers are sold as "dummy" in the hulls which is nothing other than a resistor and led. So it's better to use only in retail stores. Some people like to use the radio at home, connecting it to the power supply and speakers. There is a misconception that in this case it will work well without an antenna. But, adding to the radio for even a very short antenna, each can be convinced otherwise. 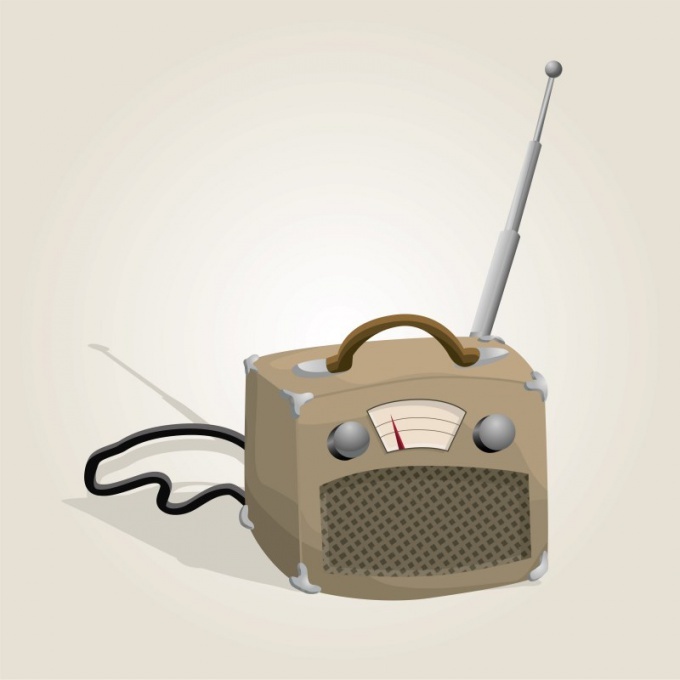 Ham radio and ordinary radio listeners regularly faced with two problems. Is unsure of the reception and interference. And with that, and the others can fight. However, different wavelengths are used in different ways. Copper or aluminum wire with a cross-section of 3-5 mm. For radioreceptionand all bands got one rule. Each antenna should be located as high as possible above ground level. If the receptionprobability no antenna, it is necessary to make. For LW, MW and SW antenna can serve as a long uninsulated copper or aluminum wire. The antenna length can reach 40 m.
If the receptionNika is antenna socket, the antenna connection is not a problem. In the absence of aerial nests as follows. From scrap materials (e.g. cardboard or wood) to make a box or frame in which to place the welcomenick. The frame wrap 5-10 turns of enameled wire. One end of the wire to ground (e.g. Central heating), connected to another antenna. Frame in this case provides an inductive coupling with an internal antenna. The position of the reception of thenick relative to the frame pick up empirically. On VHF you can also use an external antenna, which is quite suitable multi-element TV antenna "the Wave channel". Such antennas are used as antennas for the collective receptionand television. Sometimes they can still be found on the roofs of houses. The connection to the antenna is via a coaxial cable, and the antenna itself should be aimed at the transmitting station. In any case, the area of reliable receptionand even a powerful VHF station will not exceed 50 km. Noise can be combated in three ways. The first option is a directional antenna. The method is applied to all ranges. On medium and long wave, receiving, is equipped with a ferrite antenna, is achieved by a rotation of the loop antenna or the receptionof Nika in search of better receptionand with the least amount of interference. For getting rid of noise on medium, long and short wave make a loop antenna. It is a wooden rhombic or square frame with sides of 50 cm On the frame and spool of copper enameled wire with a diameter 0.3-0.5 mm. Number of coils may be about 10. A frame or include in the socket of the antenna and land on receivingtheir names, or if one antenna socket, the second branch of the frame connected to metal chassis receivingnick or grounded. Turning the frame, it is possible to accurately tune in a station and build up in the prevent interference. You can also apply outer "antizombie antenna. They represent a concentrated capacity, connects to vertical descent (wire) leading to the antenna Jack receptionnick. As a focused tank can be used, for example, a metal rim of a Bicycle wheel with spokes and hub mounted on a vertical mast isolated — for example, on a wooden pole. In any case, the quality of the signal relative to noise is determined by the value of the ratio of signal to noise. And the more powerful the received signal is the easier to build up from noise simply by reducing the volume. Directional antenna for VHF, as a rule, look like television. In the receptionof Nike try to build up from noise, narrowing the bandwidth of the receptionnick. Some receptionnikah there is a special switch. This method is suitable for telecommunication and is not well suited for receptionand transmission art. The ground connection on LW, MW, HF is a very effective as increasing the sensitivity of the receiver. Ground the receiver on a radiator or on buried metal object driven into the ground pin, metal bucket, abandoned in the nearby pond. For antenna you can use stranded wire or antenna wire. The antenna socket is missing most of the portable receivers than fixed. The rule of "the best amplifier is a good antenna" remember, when it comes to transmitters. But it applies to receivers. Even a very sensitive receiver are unlikely to catch low-power remote station without a good antenna. If the FM receiver is equipped with a telescopic antenna, and its capabilities are not enough, take a piece of insulated wire of length two meters, sweep it on one side about 5 mm, saladita and solder the crocodile clip. Straighten the wire and put the clip on the telescoping antenna (it should be minimized). By changing the position of such antenna, get good reception. Good results can be achieved using in conjunction with an FM receiver TV antenna (required room and without amplifier). The Central contact of the plug connect with a telescopic antenna, and an annular contact with the common wire of the receiver. If an indoor antenna, but there is only collective, wrap around the insulation of the coaxial cable is about 20 turns of wire, one end of which connect the telescopic antenna of the receiver, and the other will not connect. Stereos designed for connecting the FM antenna of the "dipole". In contrast to the AM loop antenna, connected to separate terminals, FM dipole is often lost. If this happens, take two pieces of wire of equal length (about five feet) and connect it to each terminal on the wire. Get the best reception by changing the position of the conductors in space. To the music center you can also connect the TV antenna (indoor and without amplifier), but in this case it will have to coordinate wave resistance. At the center is equal to 300 Ohms, and the antenna 75. If the TV antenna has a flat cable that connects to the TV via a matching transformer, remove the end, then connect the cable directly to the center. The same transformer can be used to align with the center of the television antenna with the usual plug, but then it would have to enable "reverse" to convert 300-Ohm impedance 75-Ohm and back. To do this, use the transformer primary winding as secondary and secondary as primary. Do not touch both antenna and grounded objects. Place the antenna indoors only. To the radio steadily caught the distant station, need a quality outdoor antenna. It is easy to do yourself, with a couple hours of free time and using very simple tools and materials. Select a location for the outdoor antenna. If you live in a private home, the best option would be to install it on the ridge of the roof. To do this the two sides of the ridge hook strong rails with a height of about two feet and attach them on porcelain insulators. The aerial is stretched between the insulators, from her room to the radiowill go from the wire reduction. Alternatively, one end of the antenna can be mounted on wood, always using the insulator, the second – on the roof or on the frame of the window. If you live in an apartment building and you have no possibility to put the antenna on the roof or give her to a tree, we should fix it in the house, the contour of the window frame. But the efficiency of this antenna is lower than the outer. For the manufacture of antenna you need wire in varnish isolation in diameter 0.3-0.5 mm. From it using a drill you have to twist the antenna wire for this first 20-30 times route the cable to the desired length (e.g., 10 meters), clinging to the nails or wire hooks. Then remove the wires from one of the hooks, hold the drill tight and weave for stranded wire. In the place where the antenna will be to move the wire reduction, a little rasplatita cord, scrape all the strands into a length of 2-3 cm attach them stripped wire reduction and carefully propagte. Strengthen the finished antenna on insulators and remove the wire reduce into the room. On one end solder a suitable plug. Is the antenna cord can use a whisk of beam segments thick, with a diameter of 1-2 mm copper wire with a length of half a meter. The bundle of wires is inserted into a suitable metal Cup, e.g., aluminum from the condenser and filled with solder. The antenna is fixed on the highest possible place from her room there is a wire reduction. If you have an external antenna be sure to set the lightning switch. During thunderstorms the antenna disconnects from the radioand closes with a switch on the ground wire.